Analytica makes it easy to model and analyze uncertainties even if you have minimal background in probability and statistics. 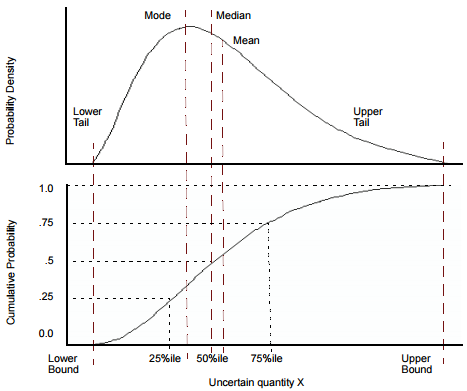 The graphs below review several key concepts from probability and statistics to help you understand the probabilistic modeling facilities in Analytica. This chapter assumes that you have encountered most of these concepts before, but possibly in the distant past. If you need more information, see Glossary or refer to an introductory text on probability and statistics.